Panasonic to cease TV screen production by October | What Hi-Fi? Panasonic has announced it will end production of TV screens at its Japanese plant by the end of September. The Japanese manufacturer has produced TV screens at the company’s plant in Himeji since 2010. However since production started, the plant has never turned a profit, mainly because of competition from South Korean and Chinese screen manufacturers. The decision to end TV screen production leaves Sharp as the sole TV panel-maker in Japan. The Himeji plant will continue to make screens for vehicle dashboards and medical equipment, but output of 32in TV screens will drop to a quarter of the 810,000 units a month it currently produces. Panasonic already uses screens from other manufacturers, including LG, in some of its TVs, but puts its own technologies over the top. We've already seen a few 2016 sets from Panasonic this year, and all have performed better than those from 2015. 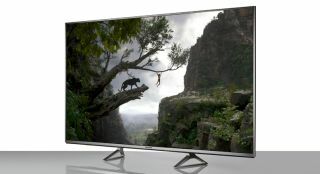 This latest news follows Panasonic's decision to officially end plasma production towards the end of 2013, and is yet another indication of the highly-competitive nature of the TV market.